In September, Danielle from Darling Magpie was my featured blogger. You can read that post and see other past featured blogs under the "blog of the month" label! Being my blog of the month gets you a designated blog post, a sidebar button, and a mention on my Twitter account. The sidebar button stays up all month long. I don't believe in necessarily making bloggers pay for advertising and I'd much rather show you blogs that I really enjoy reading. And I hope you end up enjoying them too! This month, I've chosen Silvia from EsviCode. 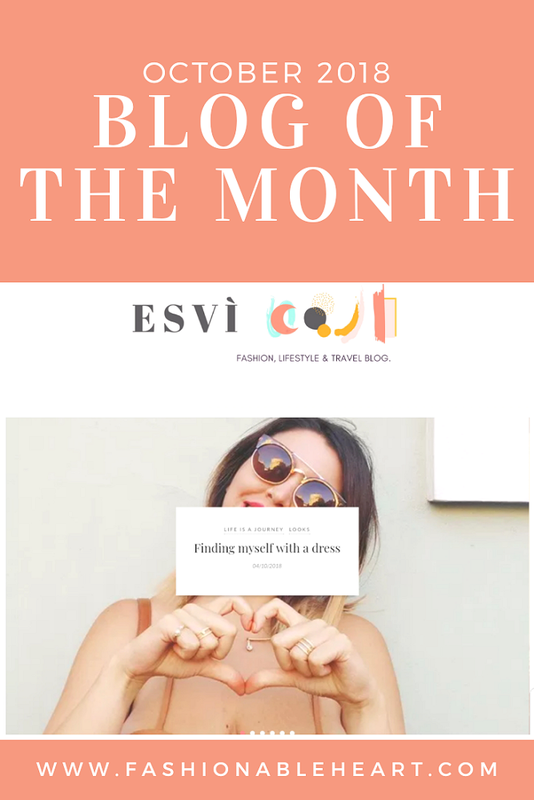 Silvia is based in Milan and her blog covers a lot of different topics along with some great inspiration if you have a trip to Milan on your bucket list! In her latest post, she talks about how what you wear can dictate or reflect how you feel about yourself. It's so true, isn't it?! If you stop by her blog, feel free to let her know I sent you.